Now that Facebook and other social media platforms are locking down on free exposure for businesses, it’s becoming increasingly difficult for brands to create viral video content. In the past, all you needed was a cat, or some clever editing, and the nature of the web was such that your video would be shared and re-shared. While this is no longer the case, it doesn’t mean that viral video content is dead – in fact, many brands are seeing more benefits than ever from well-made social videos. The trick is to keep your content fresh and relevant. The companies seeing the most success all use similar elements: humor, narrative, self-awareness and charismatic spokespeople. 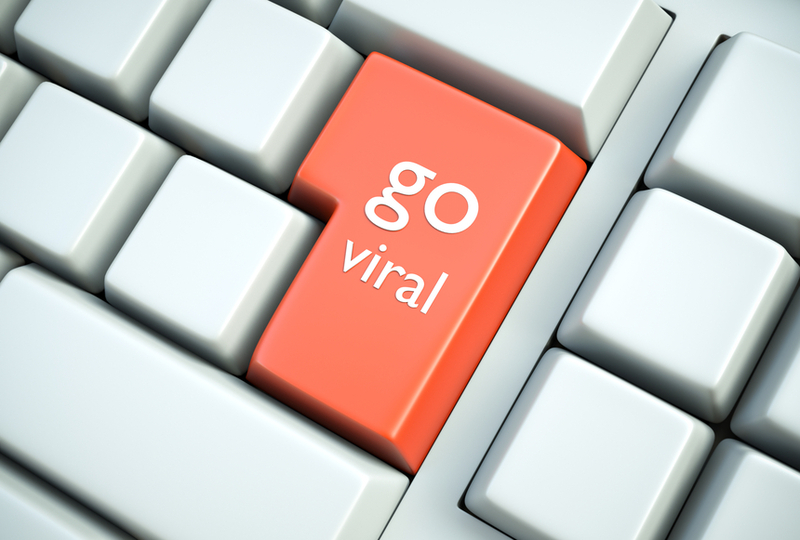 While there’s no guaranteed way to create a viral video, you can learn a lot from watching how others have succeeded. Here are three recent branded videos which have gone viral, along with some quick analysis on what made each successful. Fast-talking, self-aware videos like this became popular after Dollar Shave Club went viral with a video of their owner acting as a spokesman. They work as well now as they did then. Here, the folks at Voila Mattress put their own spin on the genre with a zany history lesson led by a faux-French product spokesman. The charismatic actress takes the audience back in time, inventing humorous and sometimes farfetched explanations for how mattresses developed over time, and in doing so, creates a narrative for the brand. Studies have shown that storytelling results in greater audience engagement and ultimately makes ads more effective. The millennia-spanning story told in the video cleverly integrates product features and benefits, all while gently poking fun at competitors. You may have noticed that the video goes on for awhile – it’s 4:30 long! While unusual for a social media video, this long-form approach is proven to improve conversion rates. Khan’s star power is the glue that holds the ensuing series of vignettes together. He runs on a white-sand beach. He bumps and sets a volleyball with awestruck vacationers. He dons a tuxedo to deliver gourmet dishes to restaurant-goers. Every scene highlights a feature of visiting Dubai, but they play out more like a Ferris Bueller romp than a promotional video. The production quality is very high, which results in an interesting hybrid effect for the video. The budget and camera work lend an air of Arabian Nights intrigue and beauty to a classic Youtube premise: “watch a famous actor surprise unsuspecting tourists.” It’s a volatile mixture – one that’s very hard to scroll by in your timeline or ignore in your suggested videos. This example of self-aware humor has been garnering a lot of views recently. PMD Beauty piggybacks off cultural touchstones like the Dove “Real Beauty” campaign and 2012’s viral Sweet Brown video. There’s never a dull moment as the video walks us through a little bit of sales psychology – beginning with audience pain points and explaining how the products can solve them before shifting gears into a memorable sales jingle, the chorus of which is a meta call-to-action. The video feels fresh because it’s so down-to-earth. PMD Beauty chooses to address the motivations that drive women to buy beauty products head-on with a wholesome attitude. Everyone wants to be beautiful, but nobody wants to undergo the crazy, body-altering measures that some influencers suggest. The video is funny, but it’s also empowering. By connecting tastefully with a relevant social issue, PMD beauty increased their potential exposure. The age of viral videos is not over, but the barriers to entry are changing. To succeed like these videos, brands need to do more than just shoot and upload – they need to have something fresh and clever to say.